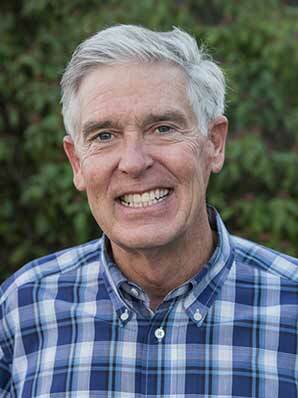 Dr. J. Michael Hardy received both his undergraduate and graduate degrees from the University of Puget Sound, and his dental degree from the University of Washington School of Dentistry. Since finishing his education, he has been actively involved in the dental community. He taught part-time for several years at the UW dental school, is past president and a current member of the UW dental alumni board, and a member of the peer review committee for the Seattle-King County Dental Society. He continues to update his dental education by attending several continuing dental education seminars, and has been a member of several study clubs over the years. He has completed extensive cosmetic dentistry training at the “Pacific Aesthetic Continuum” with the University of Pacific Dental School. He is also proud to have been recognized by Seattle Met Magazine for the last ten years as a Top Doc in the Seattle area. Dr. Hardy and his lovely wife Ann have two children and two amazing grandchildren. In his spare time, he enjoys traveling, playing golf, and skiing. Very involved in the Renton community, he is a past board member and current member of the Rotary Club of Renton, and was a recent board member of the Renton Community Foundation. His goal is to provide the best possible dental treatment that is individualized for each patient.